This handy, military-style hammer is the toughest hammer you will find. 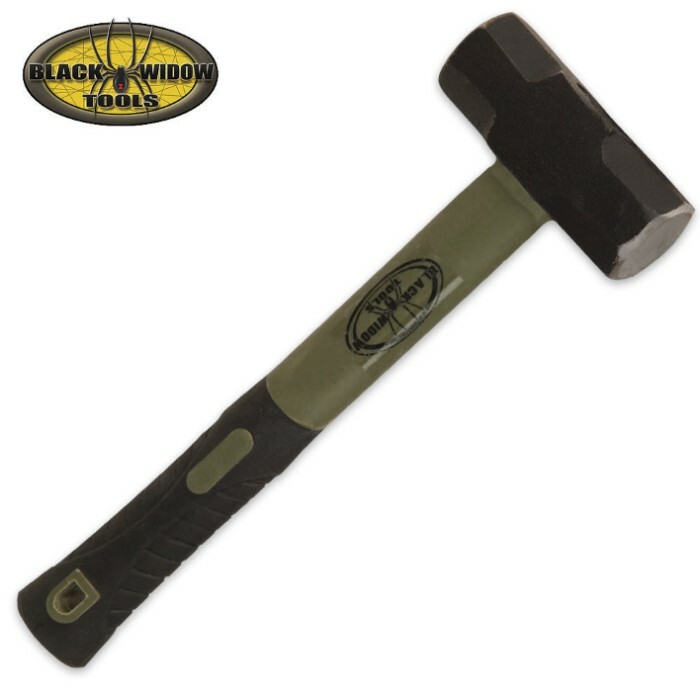 Crafted of high-grade tool steel, the head is firmly mounted to a virtually unbreakable fiberglass handle with a tough, rubberized non-slip grip. Measures 11 1/2 in. overall with a 1 1/2 in. diameter hitting surface. The hammer head weighs 2 lbs. this handy 2 pound hammer is the perfect size for a toolbox . the fiberglass handle is indestructable (i ran over it with my truck) and securely fasten to the steel head . budk had a 2fer DEAL . the uses for this handy little powerhouse are endless . mending chores or, h**l self defense. i'm sure you could brain some zombies no problem . i do enjoy shopping at budk . love the weight of this thing, it swings nice and is durable, great price great delivery time, and long live the hammer!